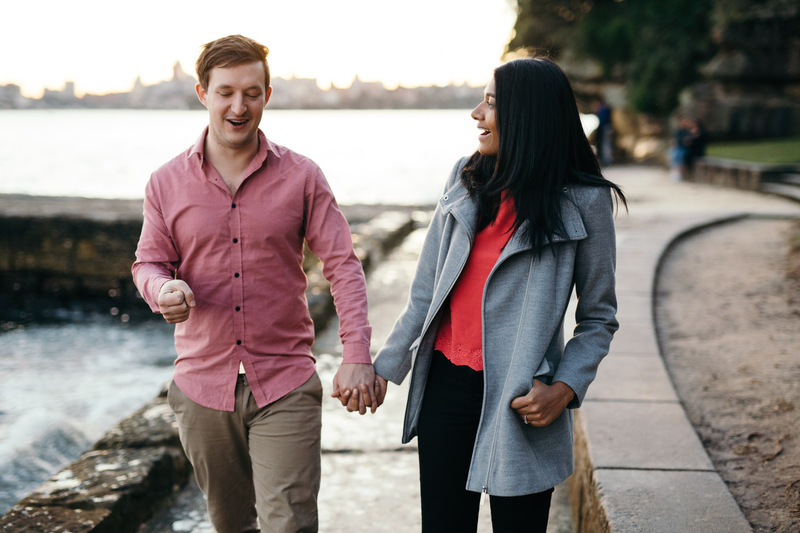 This was a fun challenge: When we sat down for coffee to discuss Manisha and Mark’s wedding plans, one of Mark’s first comments was “I can’t smile in photographs… I mean… we virtually have no photographs of me with a genuine smile”. 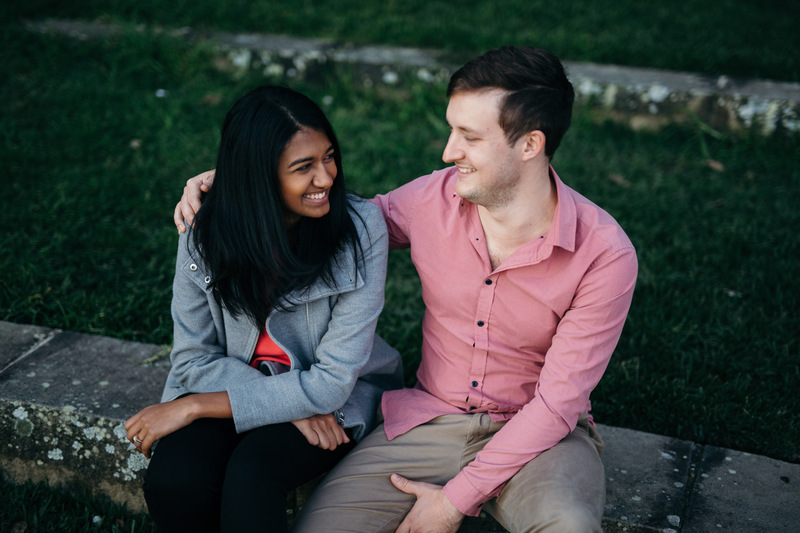 I thought about how I might go about capturing a genuine chuckle between these guys. 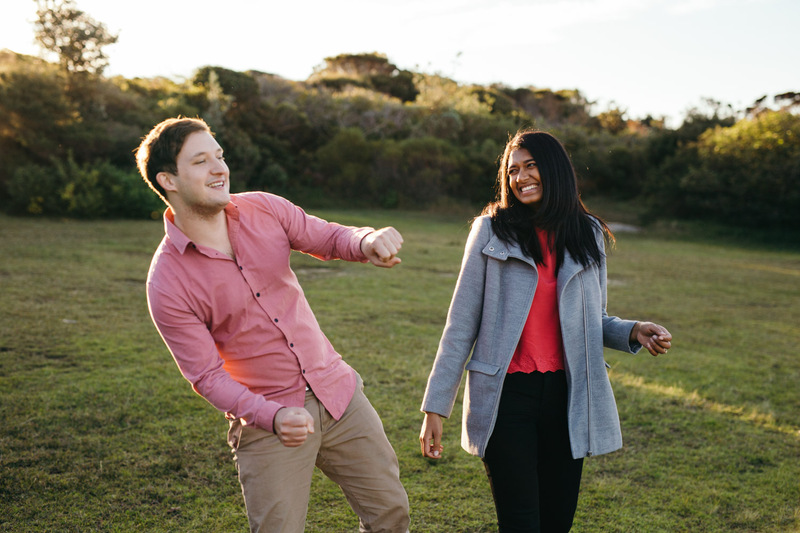 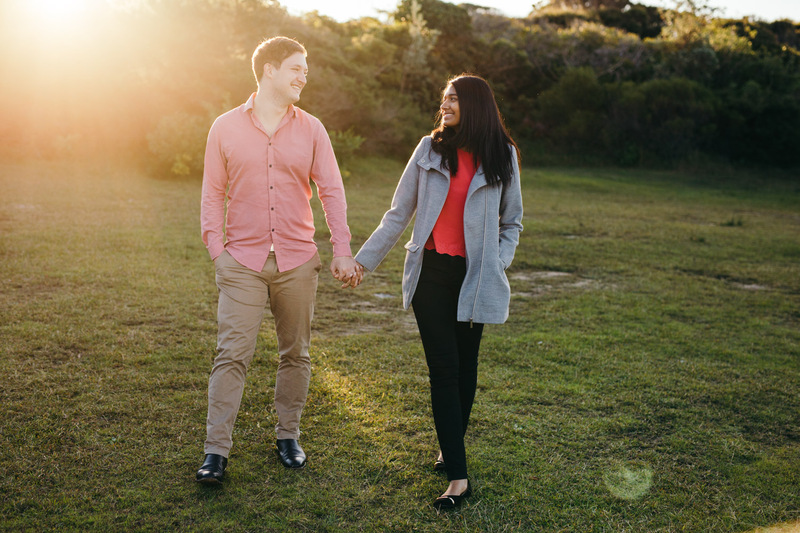 How could I promote Manisha and Mark to have a really awesome engagement session, so that the good times came through in their photographs? 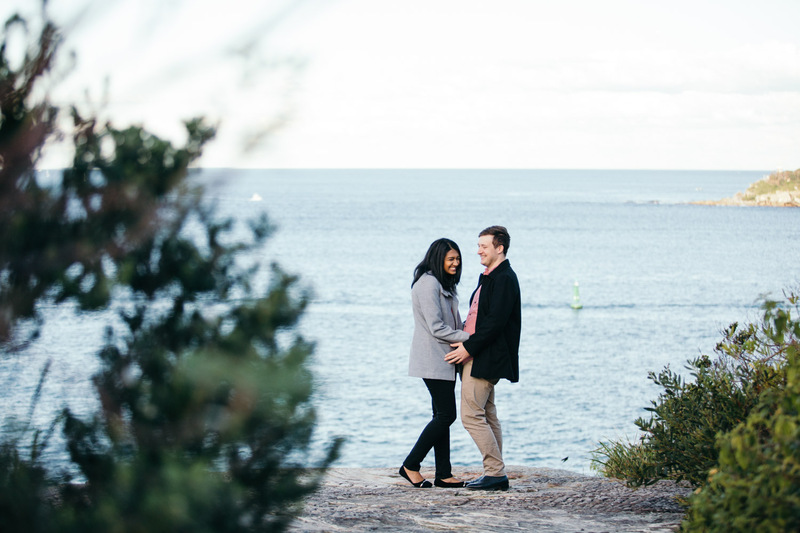 I thought of how my organic approach to weddings might be useful in encouraging these two to be themselves… to show off their real personalities. 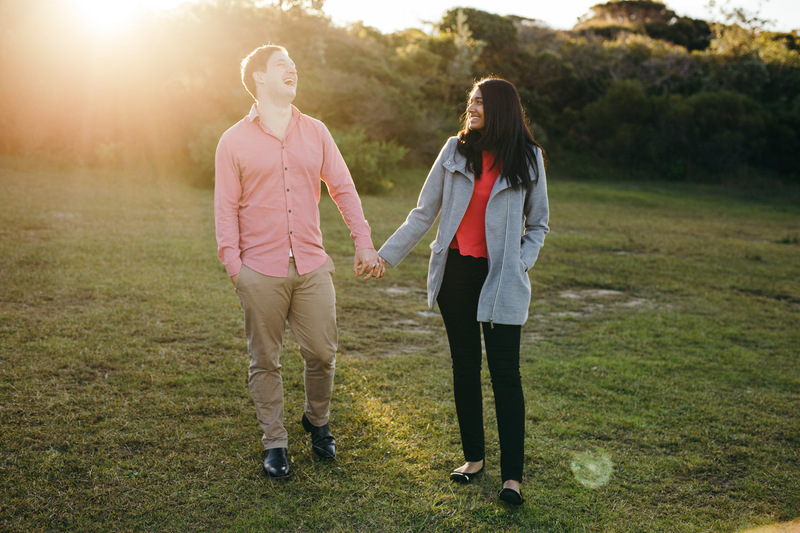 But after photographing their Bradleys Head engagement session, I’m not sure what they meant… Mark has a really awesome smile and a really infectious laugh! 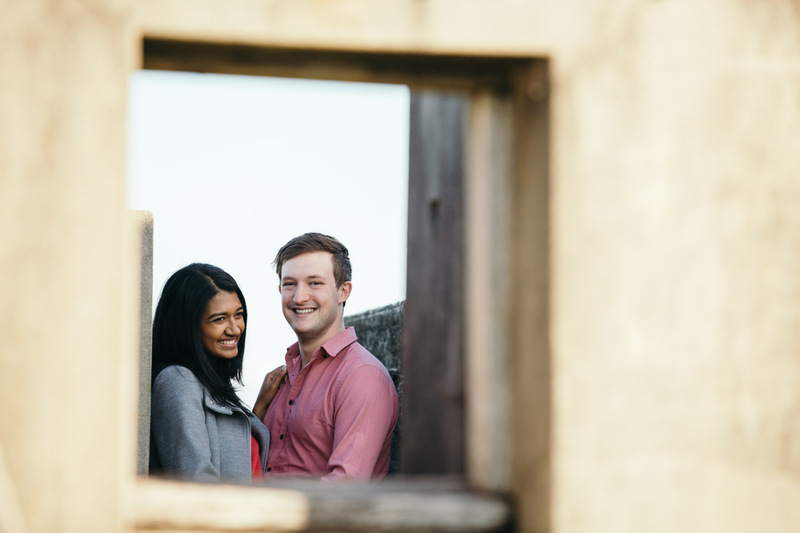 This is Manisha and Mark; two really chilled individuals that were keen to have me photograph their wedding. 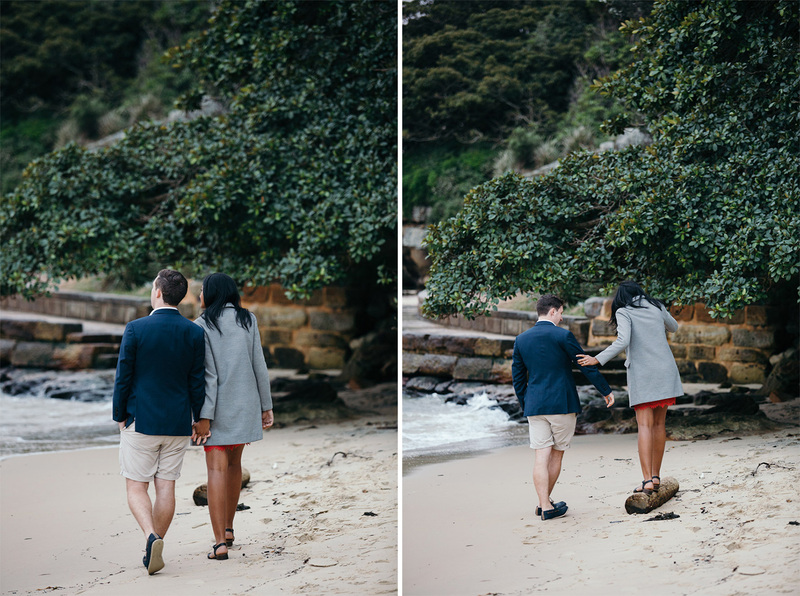 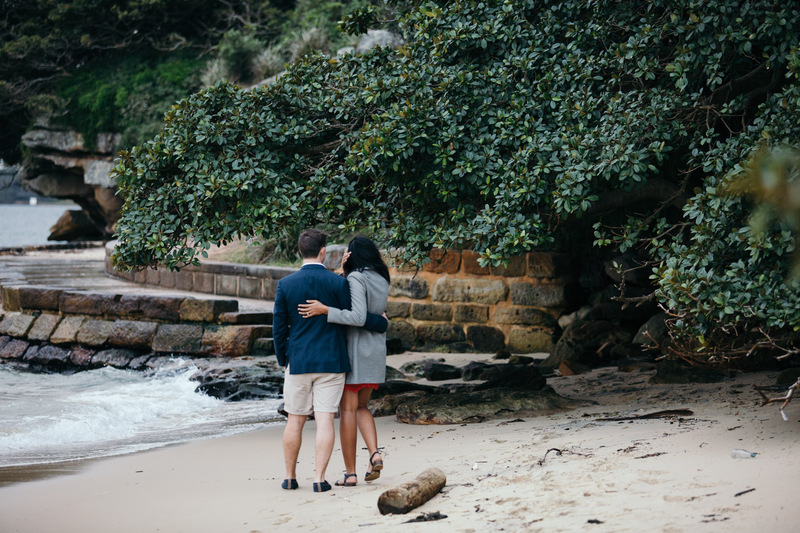 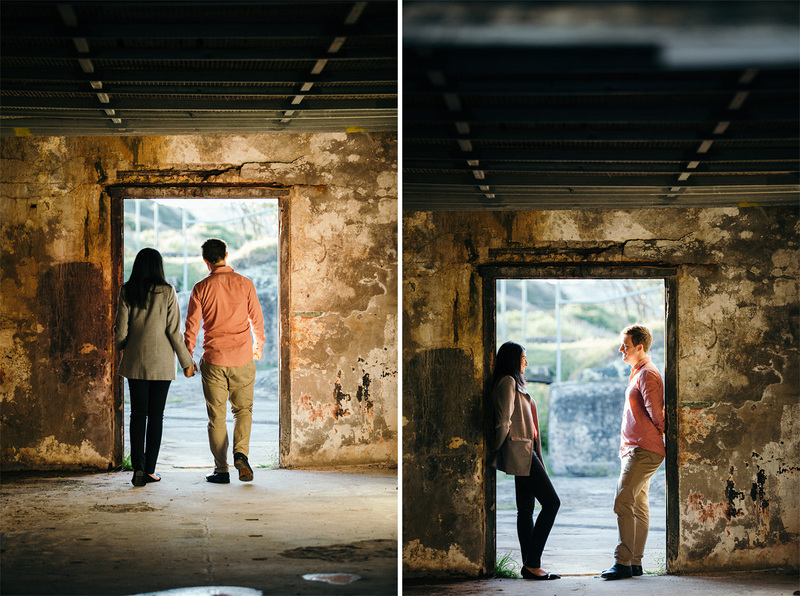 One caveat, however, was that they wanted to ensure that I was a good match to their own personalities, so after they returned from a vacation we put some time aside for a Bradleys Head engagement session, along with a few snaps at Middle Head – two amazing locations on Sydney’s North Shore. 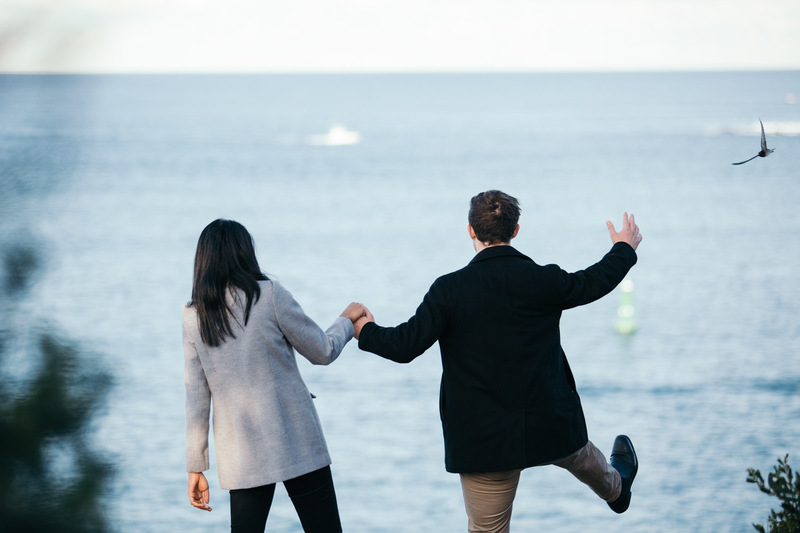 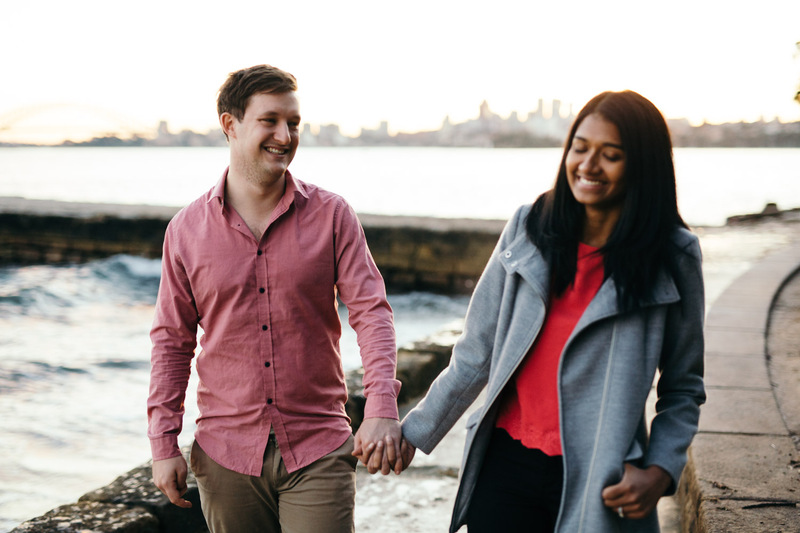 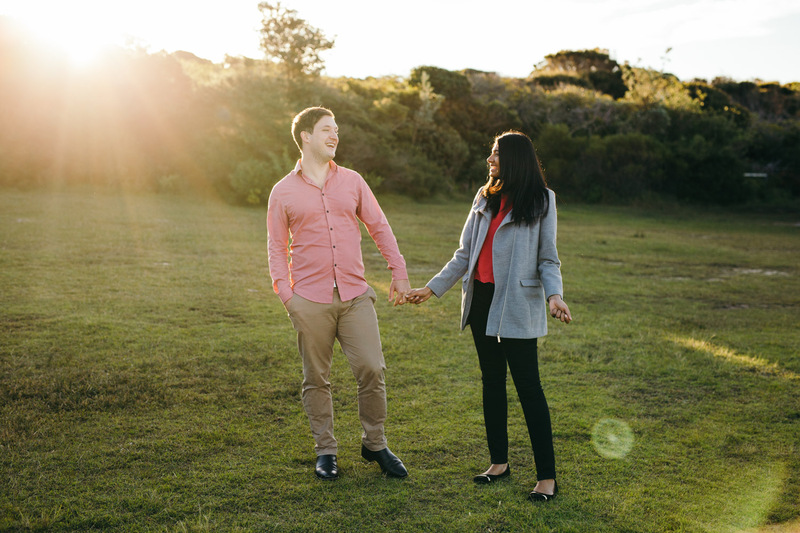 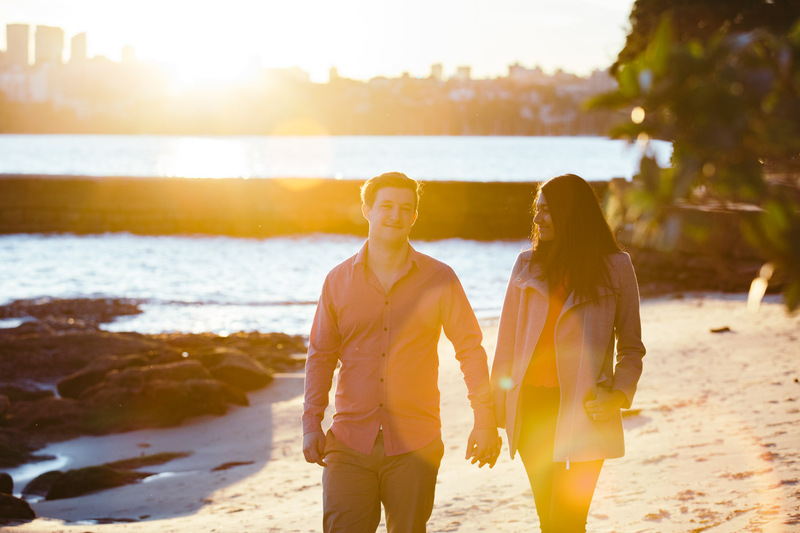 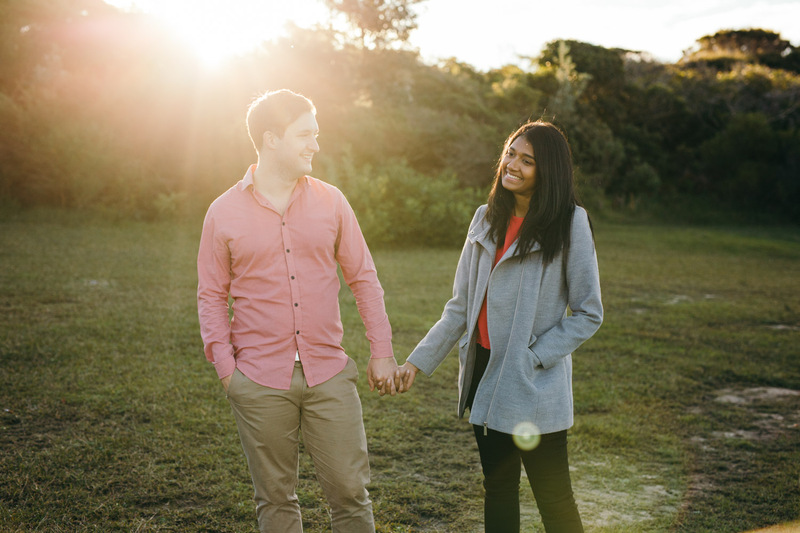 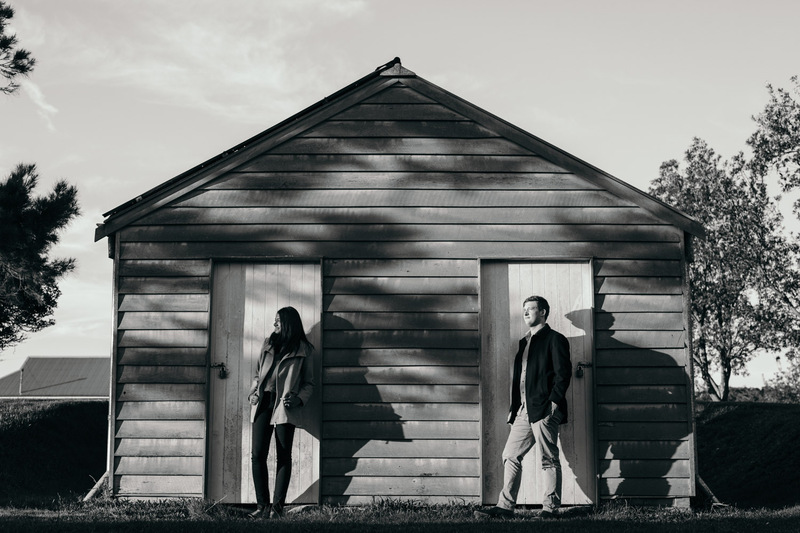 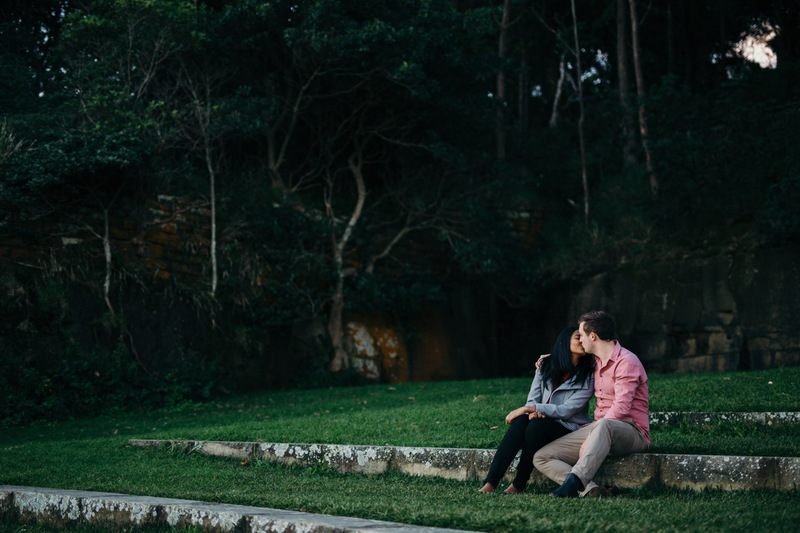 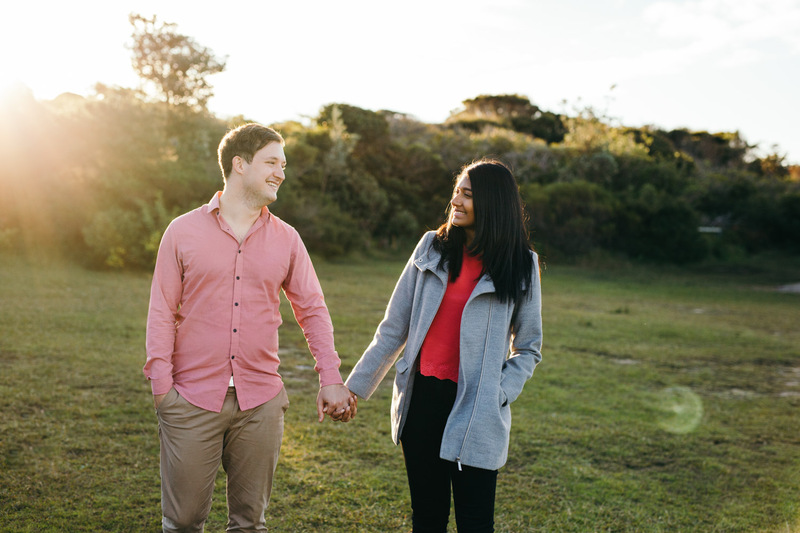 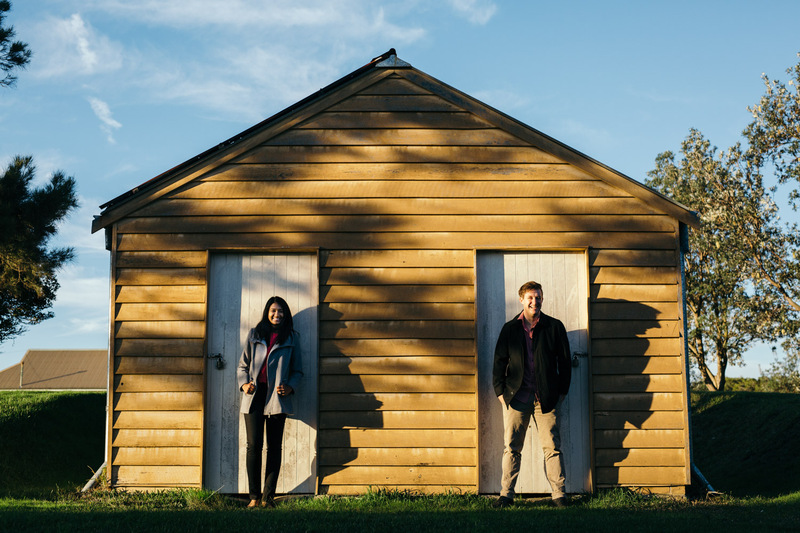 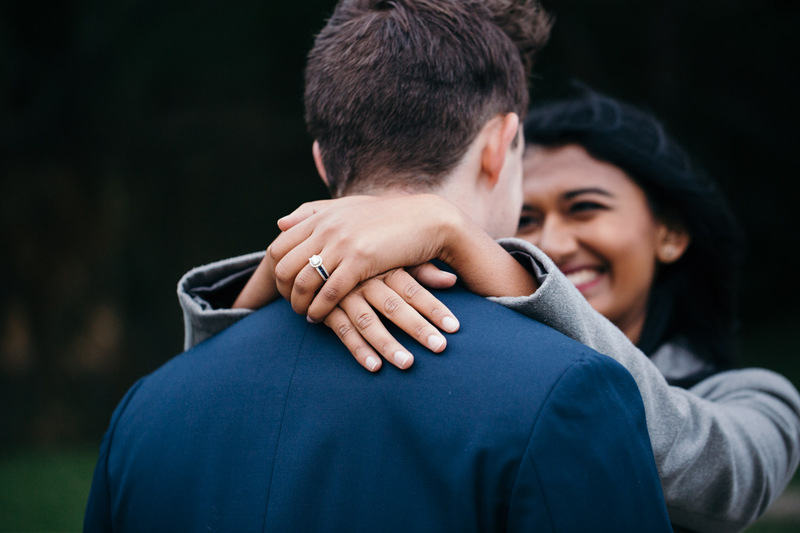 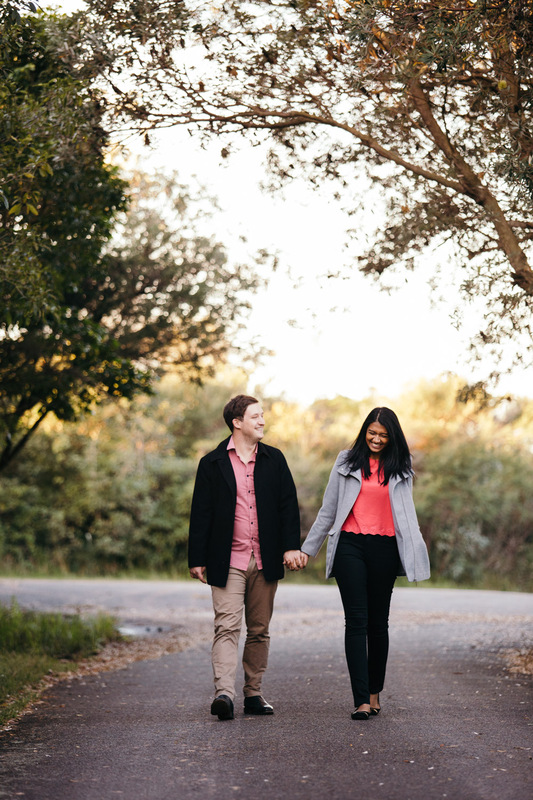 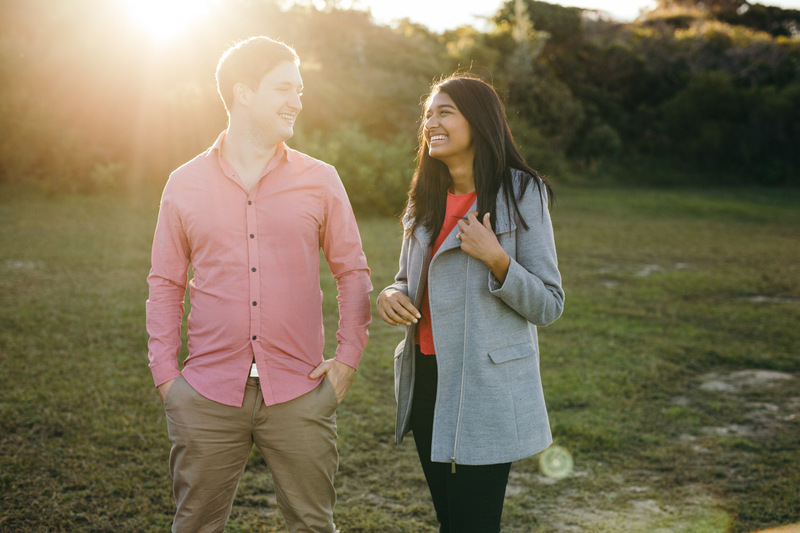 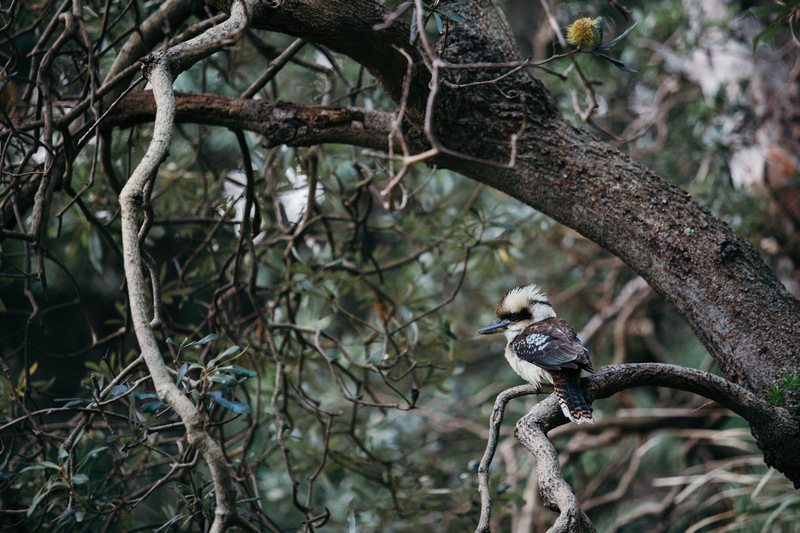 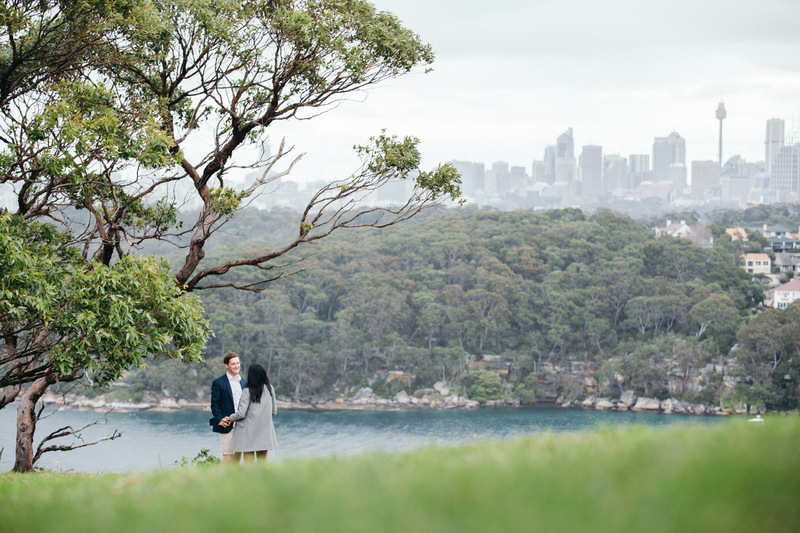 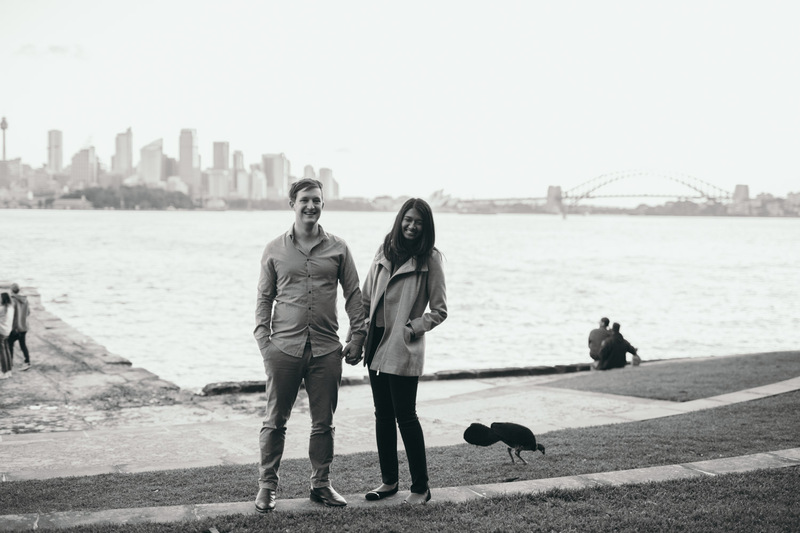 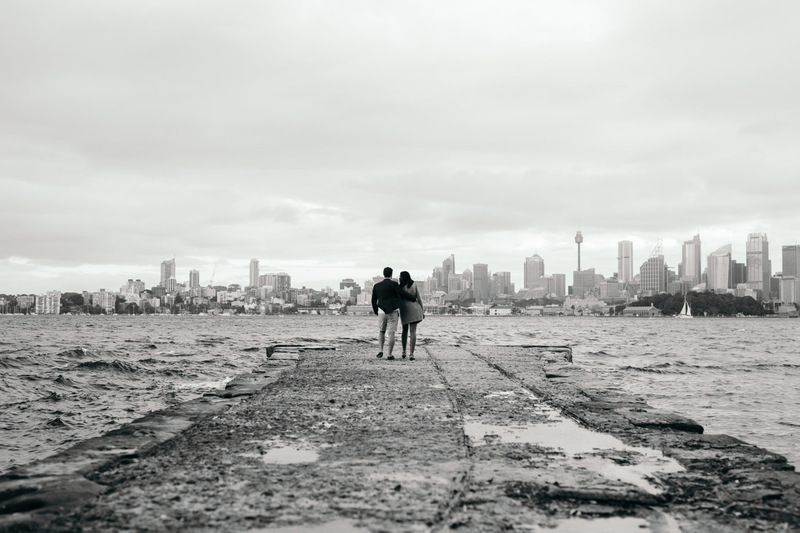 This was to be a great opportunity for Manisha and Mark to explore the local area – these two were getting hitched at Taronga Zoo early next year and wanted to check out some locations for Mosman wedding photography. 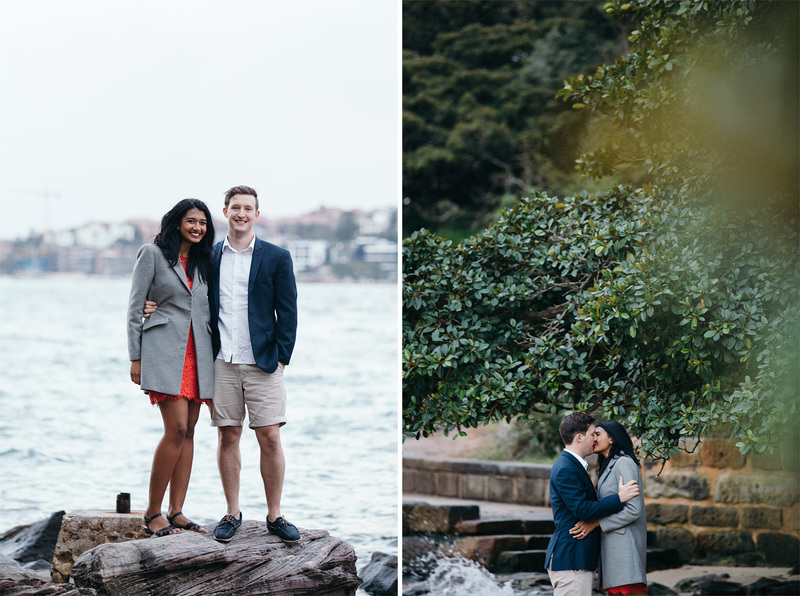 Alas, despite planning their portrait session at Bradleys Head, it poured down on the afternoon that we had intended to shoot! 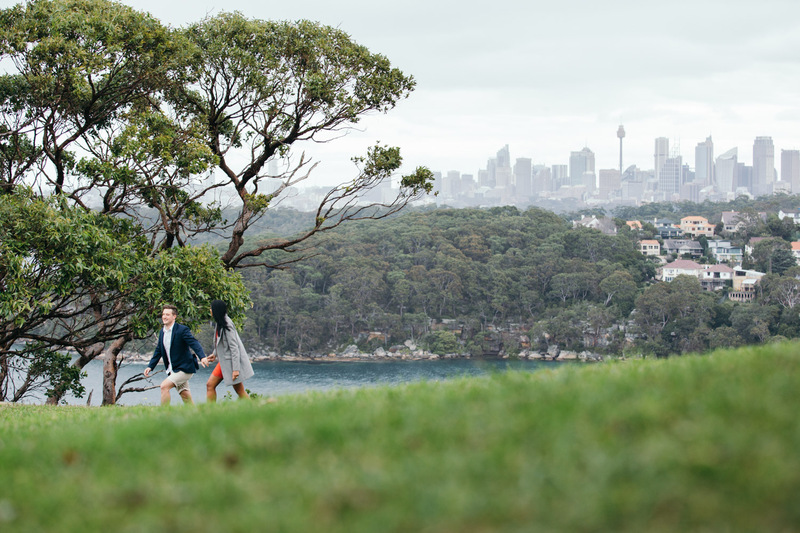 Without getting too wet, we maintained with our plans to check out the sites around Middle Head, Headland Park, and Bradleys Head Amphitheatre. 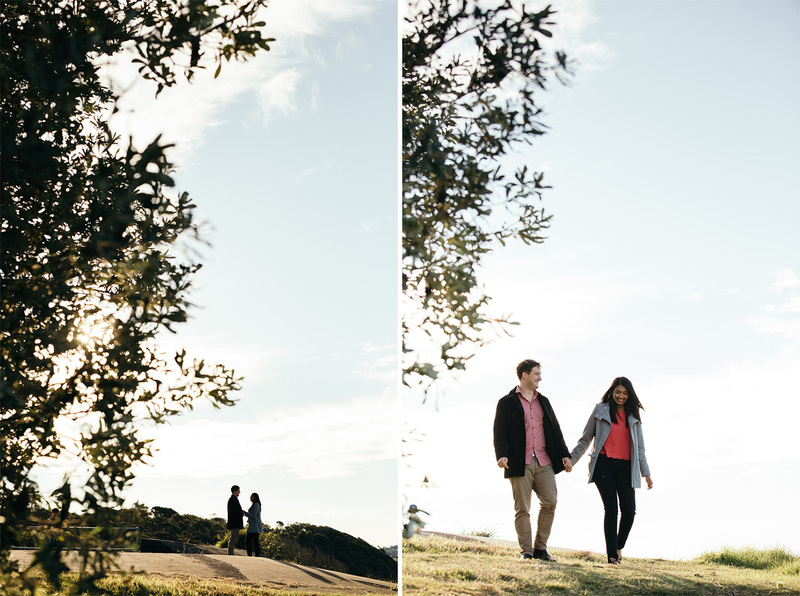 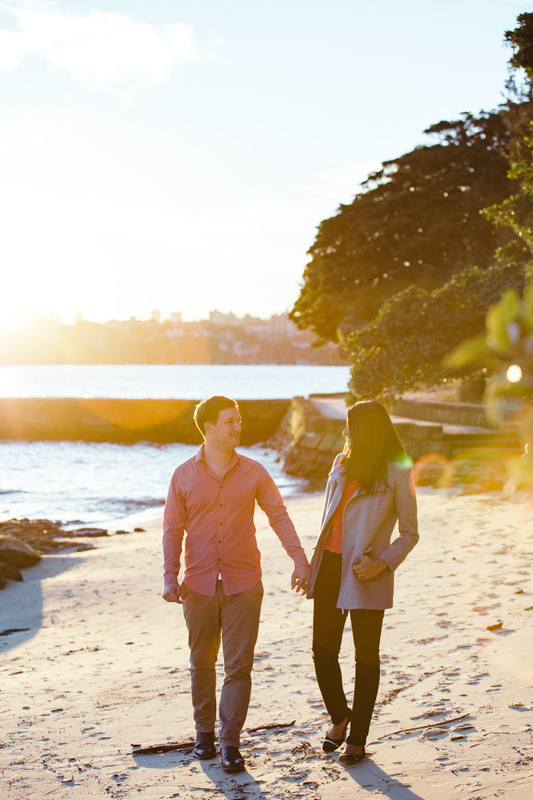 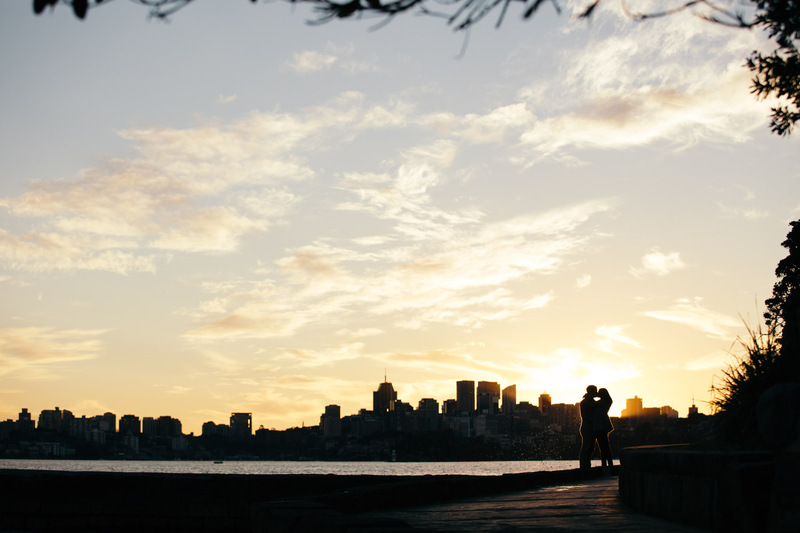 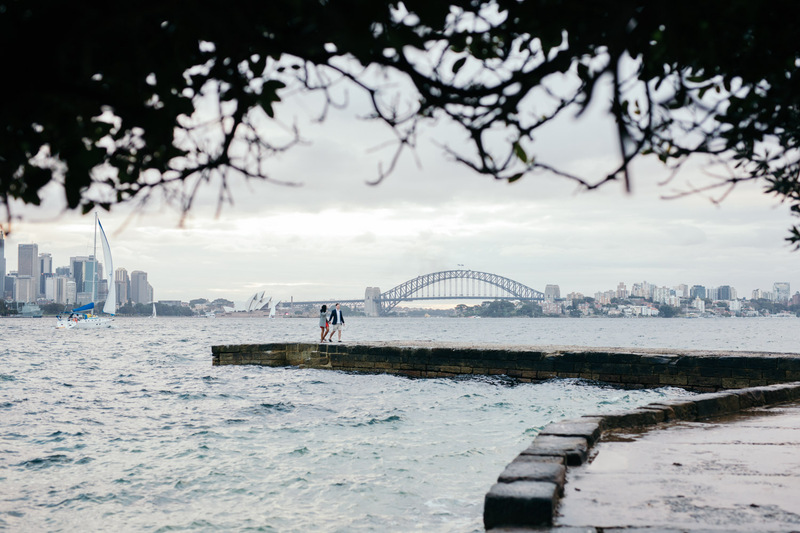 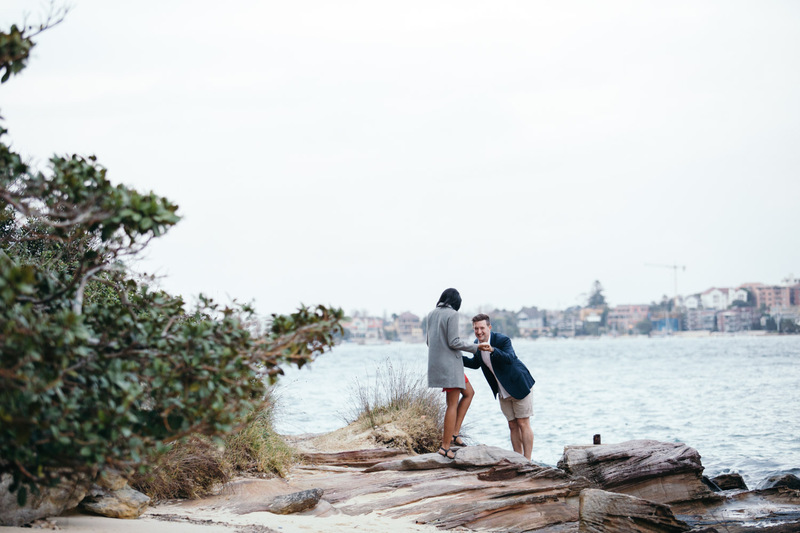 Bradleys Head… Probably one of the most iconic locations for wedding photography and engagement sessions in Mosman. 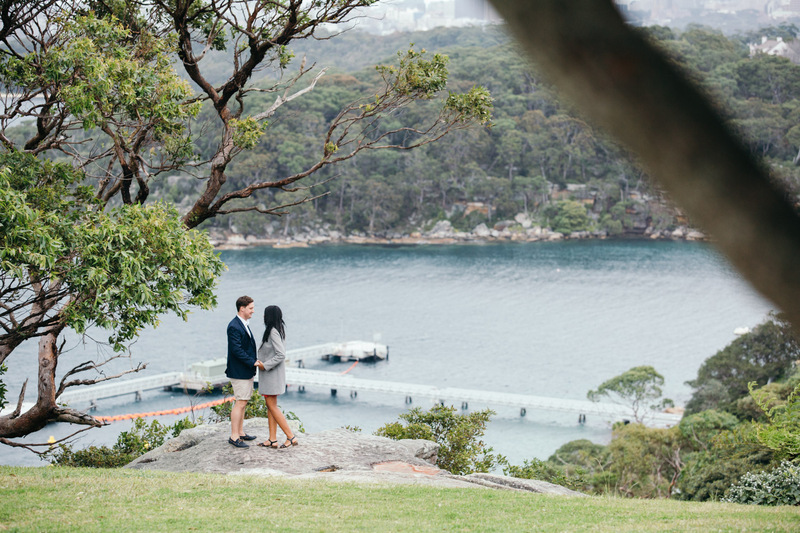 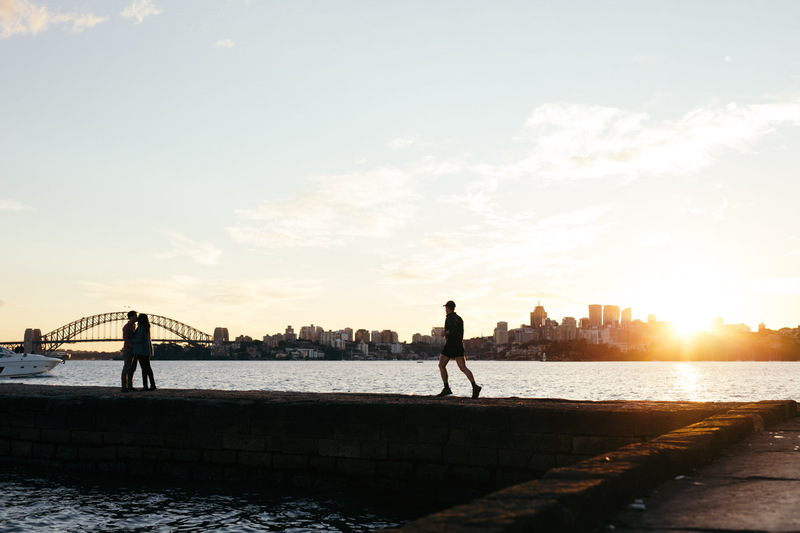 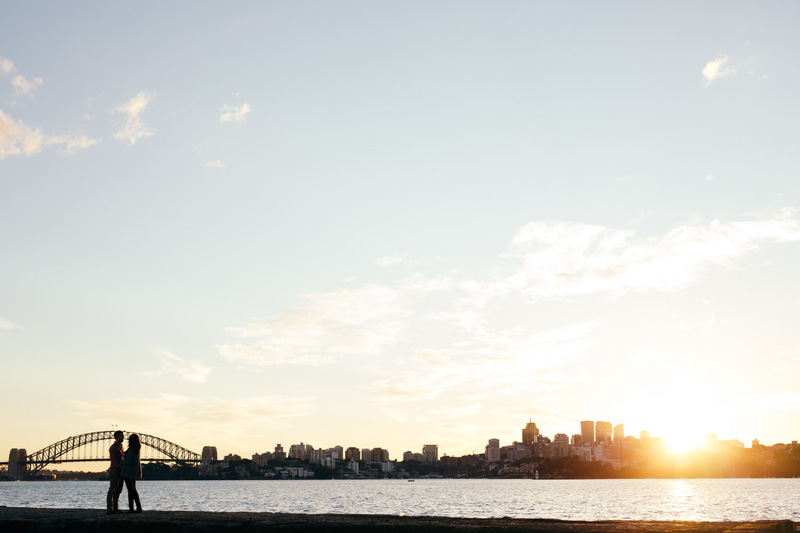 Located just down the road from Taronga Zoo, Bradleys Head protrudes from the mainland in a southwesterly direction and stares straight at the Sydney Harbour Bridge. 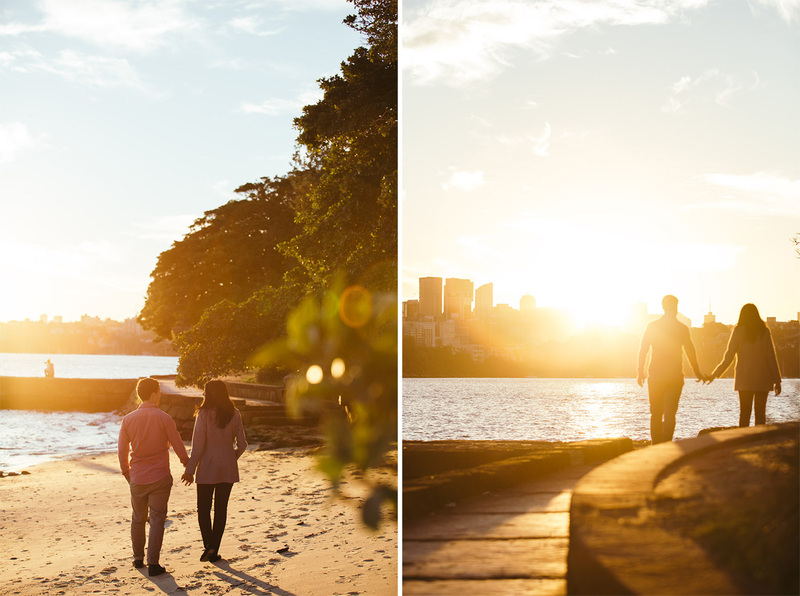 I highly recommend anyone travelling to Sydney to make a quick stop here in the late afternoon. 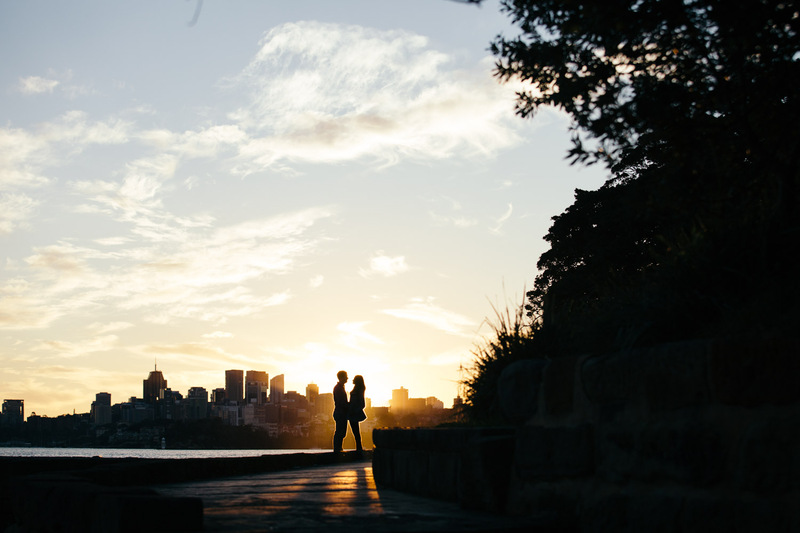 The over-saturated orange glow provided by a setting late afternoon sun produces remarkable silhouettes. 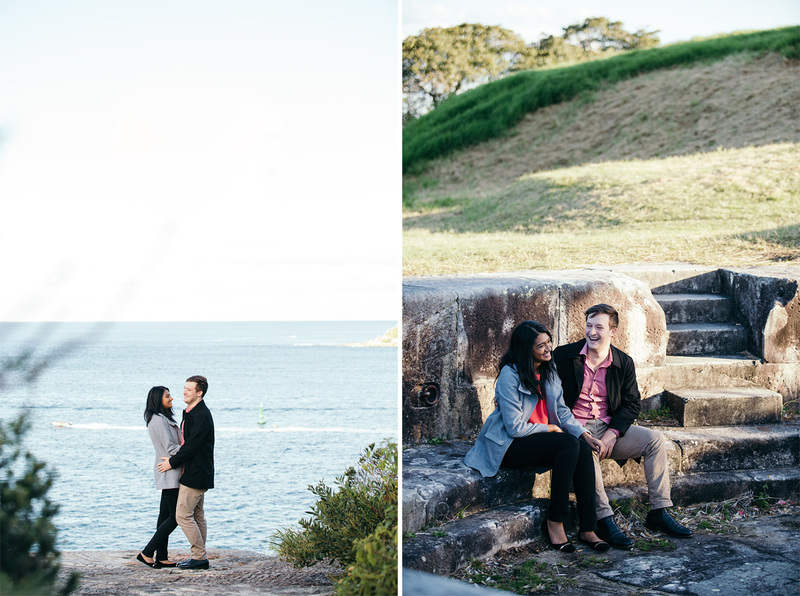 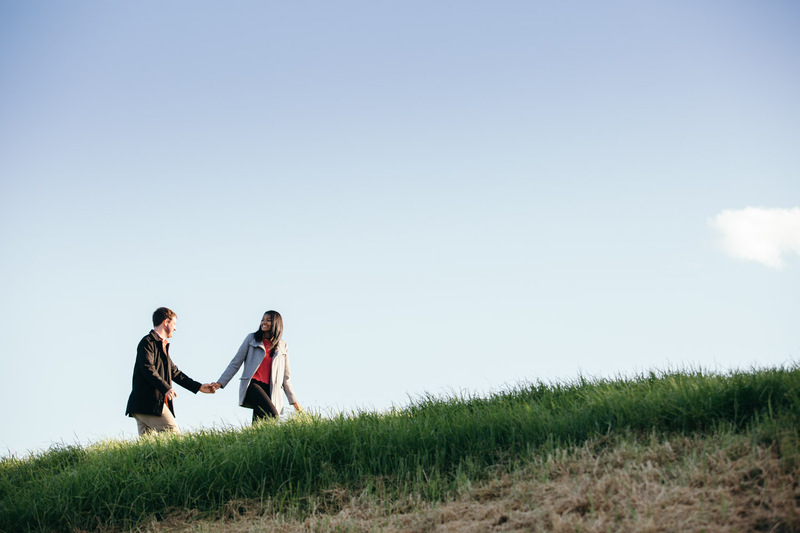 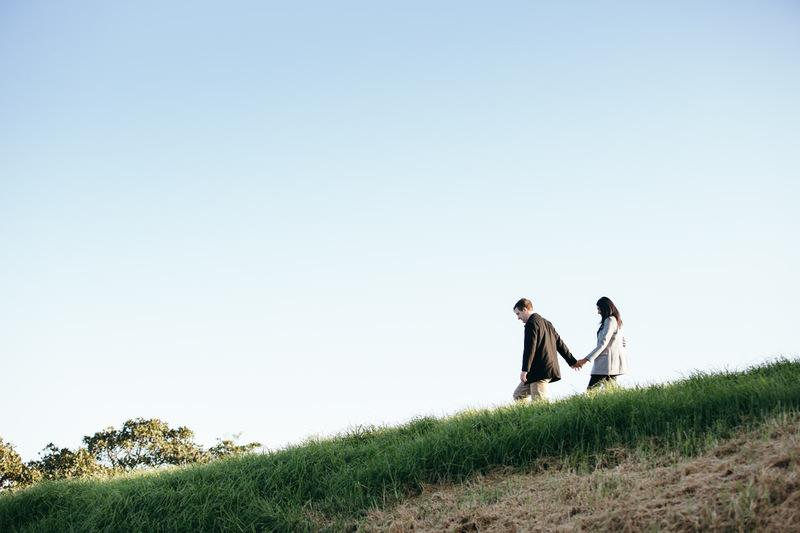 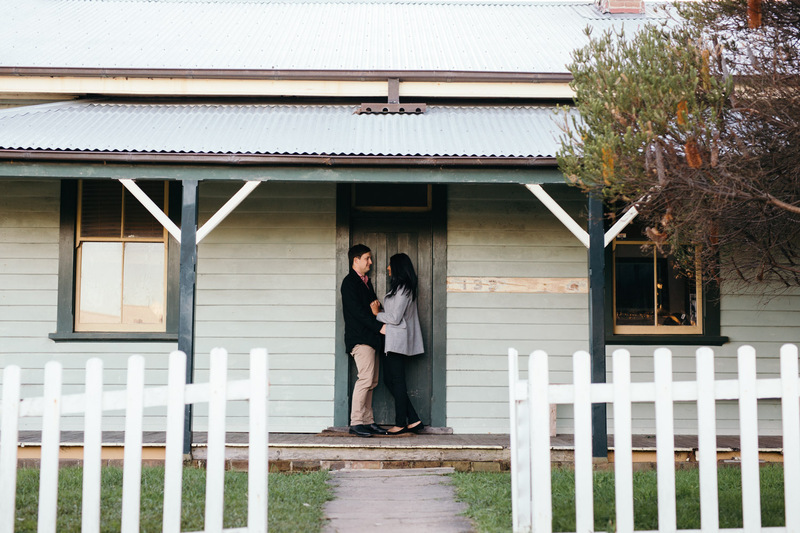 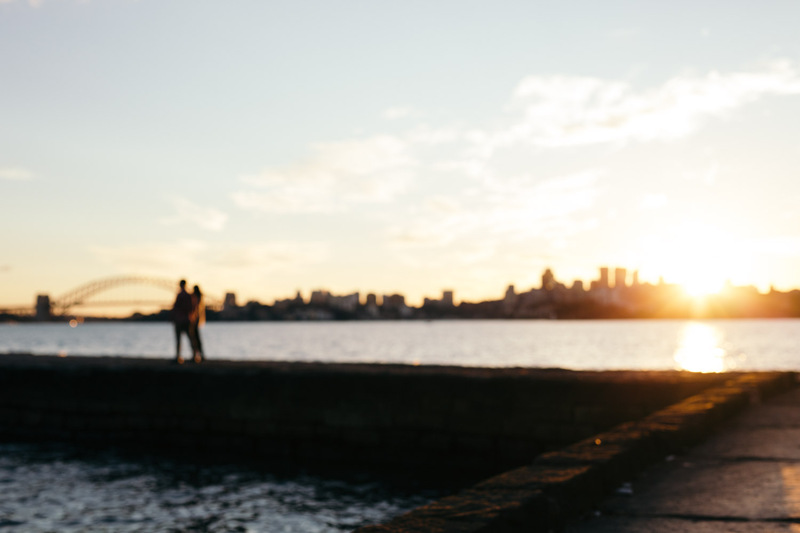 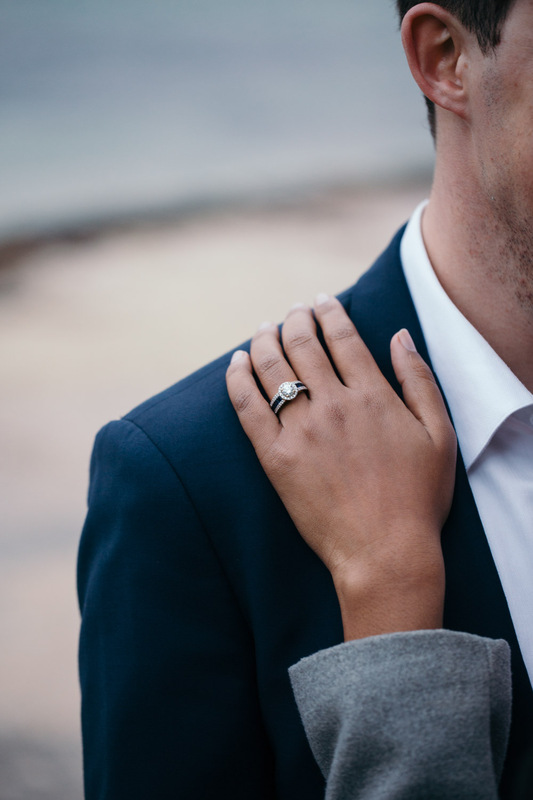 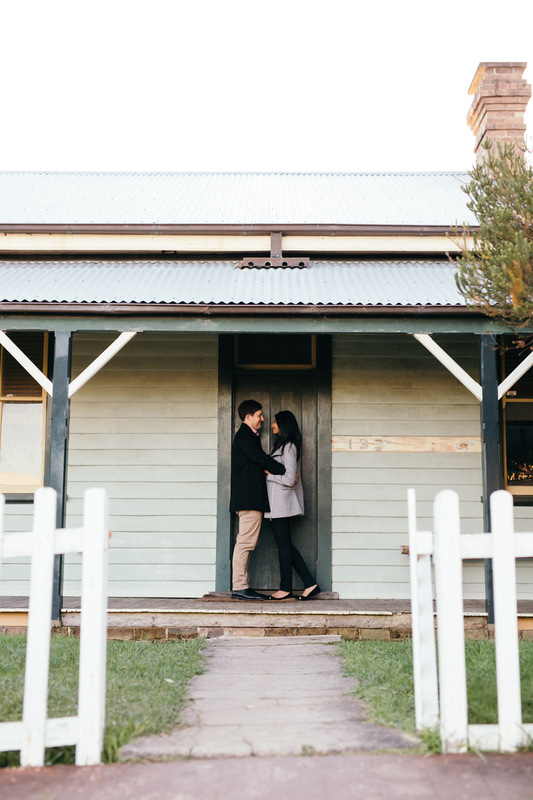 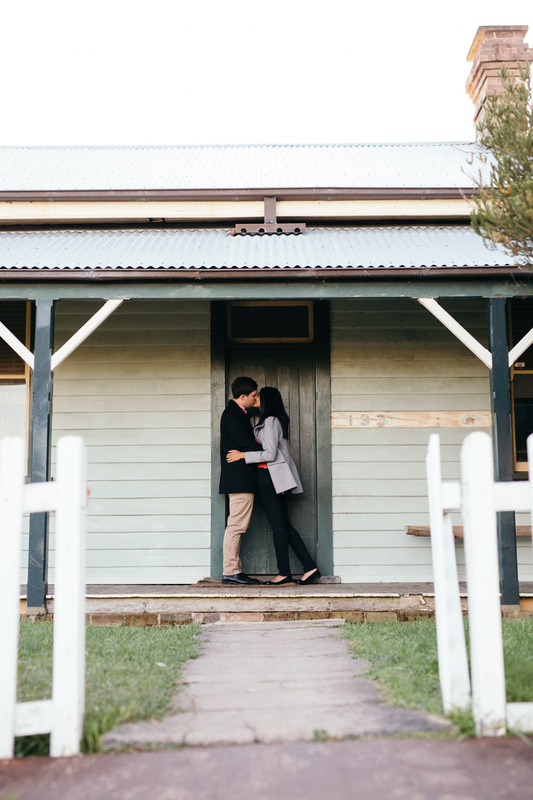 An engagement session at Bradleys Head is really a must-do. 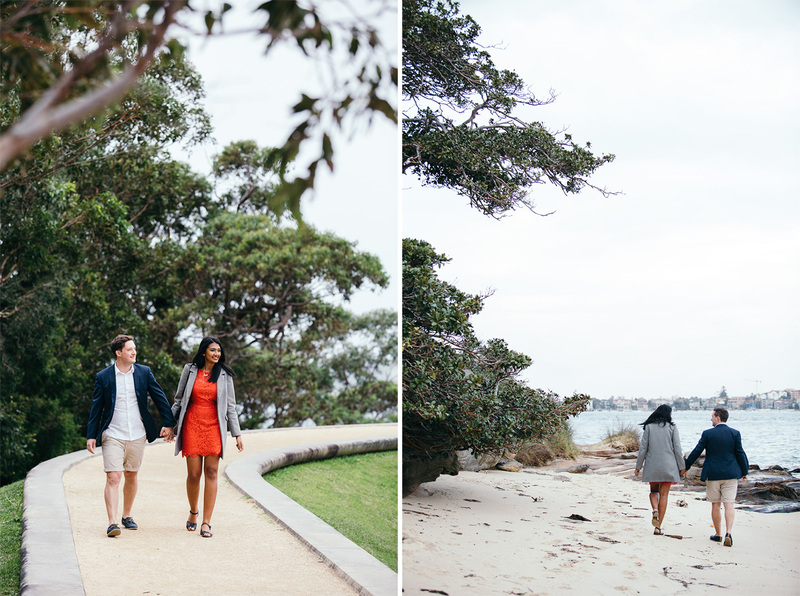 If you’re keen for an engagement session, drop me a line here. 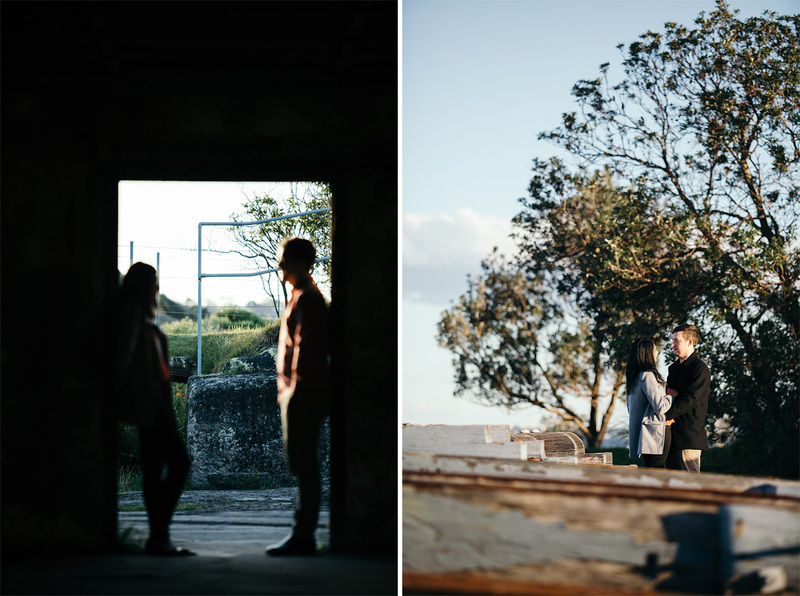 … And now for part two of this engagement session, around 2 weeks later. 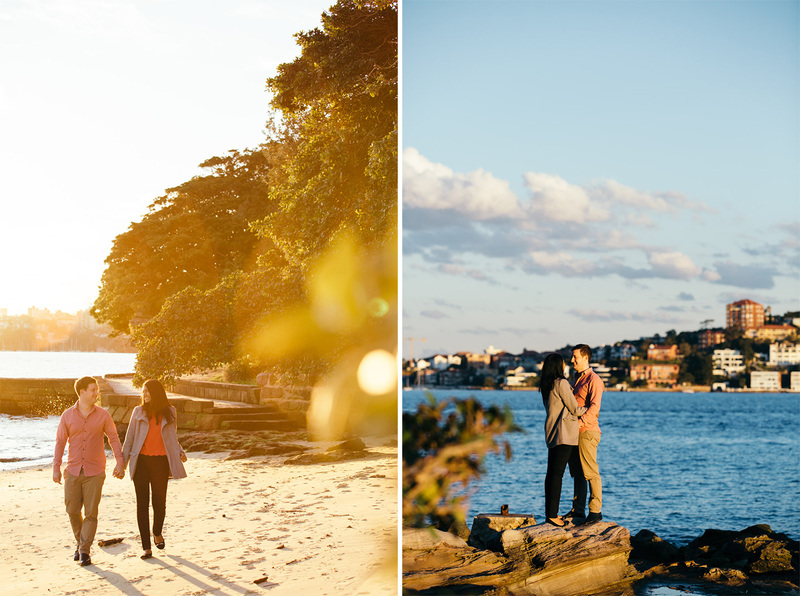 OMG, how I love that golden orange glow!